Want to be an official member of the Quentin Tarantino Fan Club? 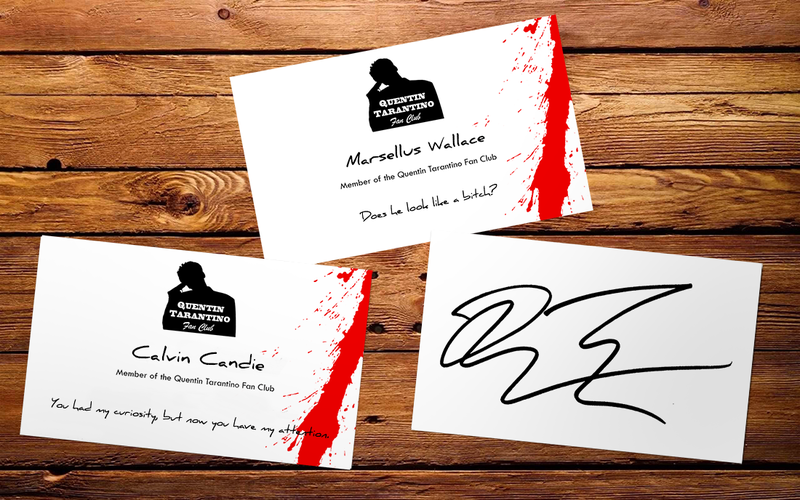 Get your personal membership card with your name, a Tarantino movie quote (choose it) and a QT authograph on the back! A PDF file with your personal cards will be sent to you after your order. Print them yourself on thick standard A4 paper, between 200 to 400 g/m2 gsm, ideally on a 350 g/m2 paper, easy to find on the internet or shops. And cut your cards following the cutting lines.